Val Tidone is a state of mind. It means losing yourself and letting go. It is about winding down, history, culture and open air. It is a blend of tradition and innovation. Val Tidone is a colourful place in which to enjoy a country walk, take in the aromas, get to know its inhabitants and the tales they have to tell, explore its castles and age-old hamlets, visit enchanting mills and the famed vineyards that populate its rolling hills. These are the reasons why a journey through Val Tidone is a personal experience. A trip here will satisfy those interested in history and culture, those who enjoy the open countryside and sport or visitors seeking to relax and sample the area’s fine food and wine. 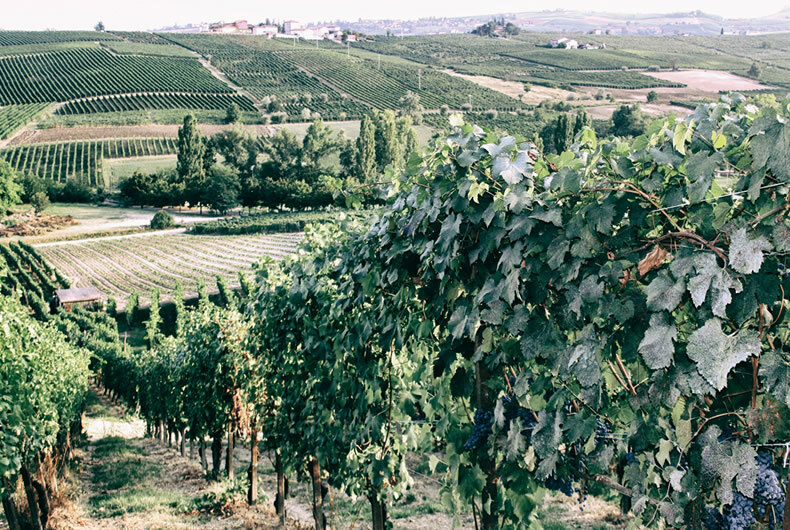 From Milan’s Tangenziale Ovest, Val Tidone is just a 40-minute drive away along highway 412. In the hills surrounding Piacenza, in the far north-west of Emilia-Romagna, weekend visitors and holidaymakers can rediscover a sense of togetherness and rustic tradition that result in fine products and cutting-edge innovation. The town of Castel San Giovanni is the crossroads between Lombardia, Piemonte and Emilia. It is also the gateway to the Val Tidone with the road winding up until Pecorara and the slopes of Monte Penice; travellers can decide the route that best suits their interests. Visitors to Val Tidone will be inspired by the array of flora and fauna, views, foodstuffs and personalities they encounter. A stop at the Cantina Valtidone and the Enoteca di Borgonovo will provide a welcome introduction to the wines on offer. Val Tidone is the ideal destination for those seeking to escape the hustle and bustle of urban life, either for a Sunday break or a romantic weekend. Here it is all about relaxation, nature and greenery. Regimented vines and lush woodland characterise the landscape and provide the perfect stage on which to enjoy ancient villages and countryside. Some local associations, as well as CAI, organise graded treks to the peaks of Monte Moria, Monte Aldone and even up to Monte Penice. Taking a break while visiting the country houses to find a good glass of wine and plate of cured meats is never a problem, neither is tracking down somewhere for a simple snack, typically taken under a shady pergola. Then it is back onto the trail to retrace the history of noble families and ancient battles played out in castles at Sarmato, Castelnuovo, Corticelli or the Rocca d’Olgisio. The choice is endless.